Private guide expert in history. English and Spanish. 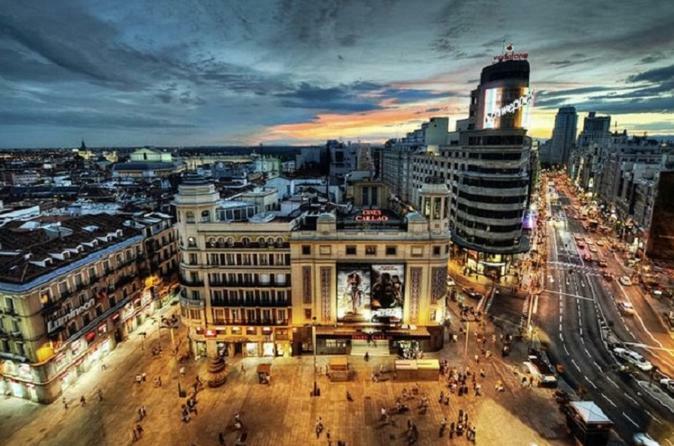 Get to know Madrid in a personalized way, at their own pace, without stress, walking and learning many things about the city without having the feeling of being in a large group with visiting 3 or 4 places in a hurry. Our stroll starts at 09.00 AM or 4.00 pm at "The Statue of the Bear and the Strawberry Tree" (Puerta del Sol). Pass by iconic Madrid landmarks like the Puerta del Sol, Plaza Mayor, House of Representatives (Congreso de los Diputados), The literary neighborhood where the writers of the Spanish Golden Age lived, The oldest restaurant in the world, Plaza de la Villa (The Old City Council), Almudena Cathedral ,Royal Palace, Plaza de Oriente The Austrians Neighborhood, San Gines church etc.